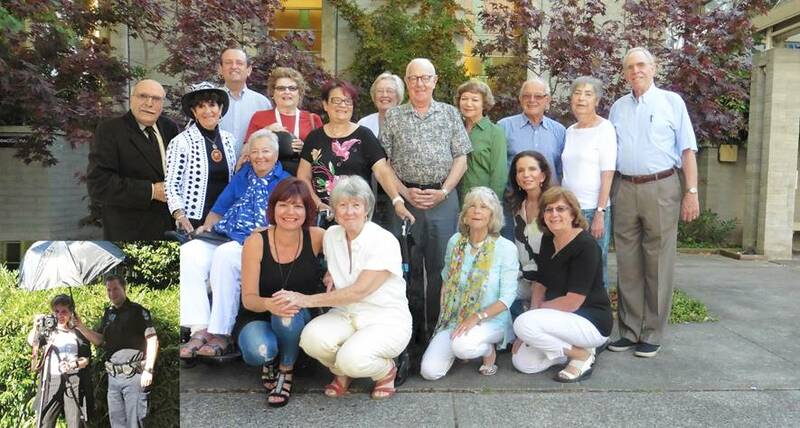 Top Row – Left to Right: Serge Haber – President Emeritus, Binny Goldman, Larry Meyer – Treasurer, Mariette Doduck, Marilyn Berger – Past-President, Rita Roling Vice-President, Ken Levitt – President,Jackie Weiler, Lyle Pullan, Shanie Levin – Vice-President, Larry Shapiro – Vice-President Bottom Row: Edith Shier, Toby Rubin, Pamella Ottem, Gyda Chud – Vice-President, Dolores Luber, Tammi Belfer -Secretary Missing: Milton Adelson, Barbara Bronstein, Grace Chandy,Ida Gitlina Bottom inset: Karon Shear and a kind officer, doing his duty protecting the camera from the sun. 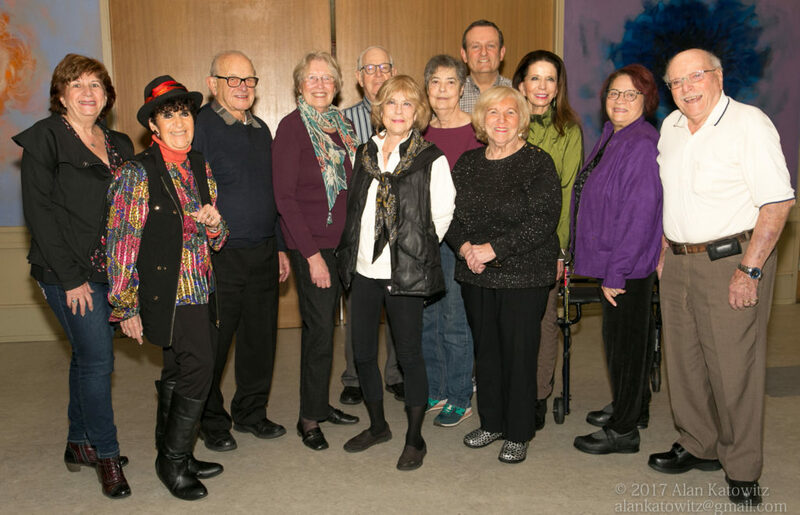 STANDING FROM LEFT: Janet Kolof, Timothy Newman, Marilyn Glazer, Barbara Bronstein, Lyle Pullan, Claire Cohen, Gyda Chuda, Ida Gitlina, Rubin Feldman, Binny Goldman. 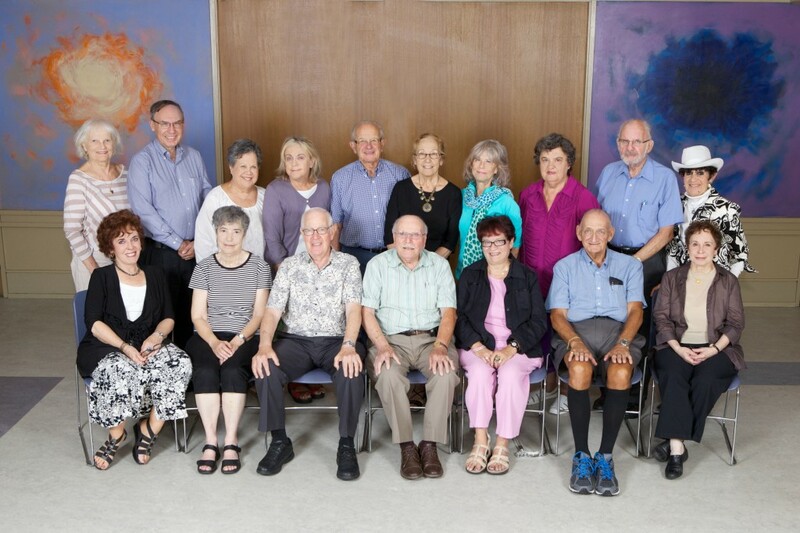 SEATED: Karon Shear (Staff), Shanie Levin (Vice President 2), Ken Levitt (Vice President 1), Serge Haber (President Emeritus), Marilyn Berger (President), Milton Adelson (Treasurer), Rita Propp (staff). Peer Support Staff: Charles Liebovitch, Grace Hann.